Tiffany & Co. Pendant brooch, ca. 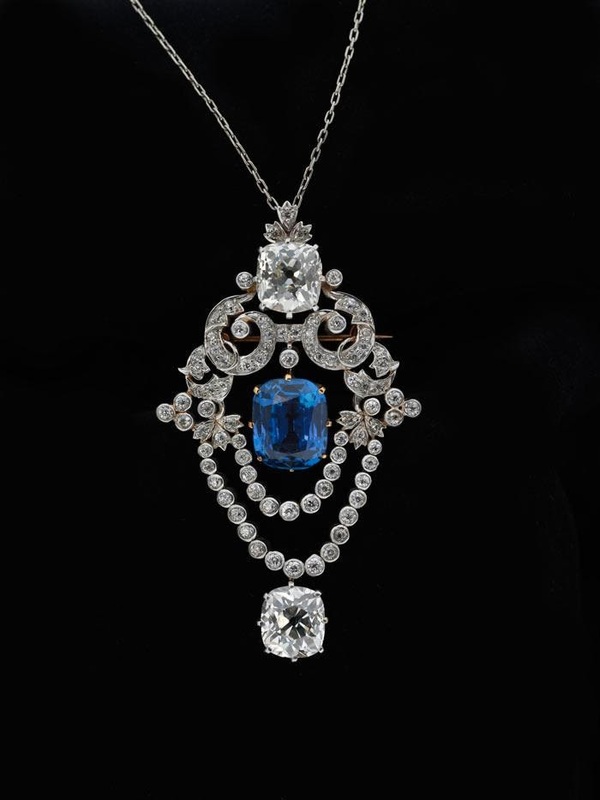 1900, platinum, diamond and sapphire. Stunning! If you are in New York City this weekend and have the time, throw on that Charles Frederick Worth gown you have laying around and get your carriage driver to take you uptown to the Museum of the City of New York, where there will be FREE gallery tours with the purchase of admission of the exhibit Gilded New York with Curator of Costumes & Textiles Phyllis Magidson, who I could listen to all day, she is that entertaining (and charming and erudite) when she talks of historical fashion. She will be giving 40-minute tours at 11am and 12pm today, January 24, 2014. Also happening today, January 24, at 1pm and 2:30pm, culinary historian Cathy Kaufman will host Gilded Manners: How to Lay a High Society Table. Oh how I wish I could attend this, everything from finger bowls to fish forks will be laid out on the table and discussed! Click here to make reservations for either of these events or the other tours being held on January 25 and 26. Yeah, that kind of rich. That is the subject of Gilded New York. 100 works are on display, all created between the mid-1870s and the early 20th century. What’s that you say, MCNY? Worth dresses and vintage Tiffany jewelry on view? I’m so there. 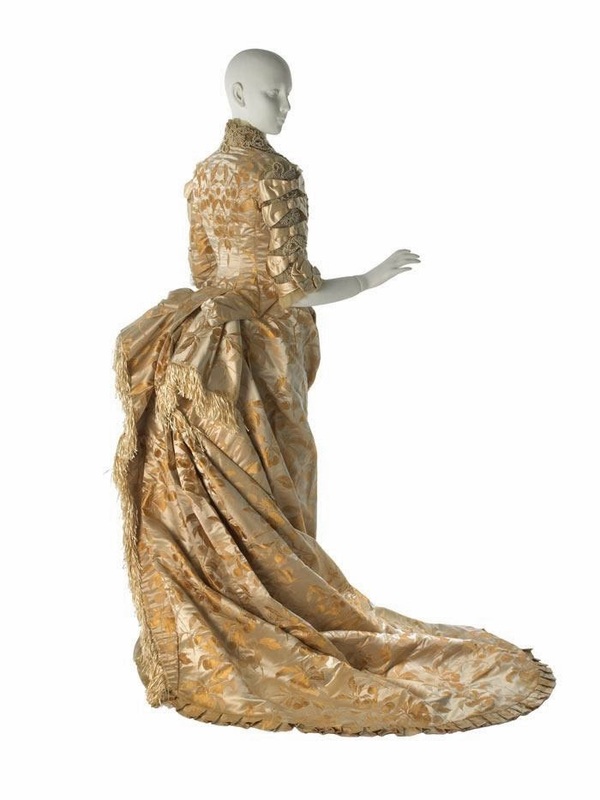 Satin damask wedding gown by Maison Worth, 1878, worn by Annie Schermerhorn. 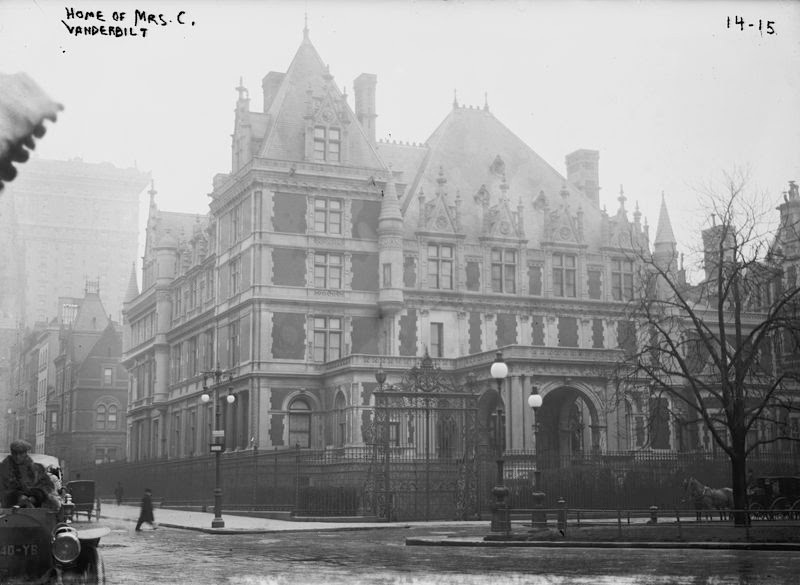 Gilded New York runs through November 30, 2014 at the Museum of the City of New York. It would be fun to wear something so extravagant and beautiful. Tiffany crafts such marvellous pieces...a girl can dream! This is my kind of exhibit! Such an interesting time period. And the clothing~~gasp! You are exposed to some of the most fabulous shows!! The necklace is stunning. I had to enlarge the picture to drool over it appropriately. Wish I could see that exhibit, it's just my cup of tea!! The Tiffany Pendant is exquisitely beautiful! Exquisite Jill! I'm always inspired by some fashionable beauty when I stop by!